One challenge with developing tools for analyzing and using lidar data is sharing and developing code or finding data that you can use to test new ideas. So to help people find the software and data they need, we’ve launched a site on openlidar.net where people can share links to open-source code and datasets. See www.openlidar.net/resources for details. If youâ€™d like to contribute but donâ€™t have a clue where to begin, we can help! The topics could be either purely academic or also industry-led. Our idea is that you can share the topic, get in contact with the community and exchange topics and information about available students. We will link to theses through the website. In Stuttgart we will be starting a Masterâ€™s thesis to analyse the reliability of our scanning lidar, and how it could be improved – see also next section! If you have ideas for a thesis, already have (or need) a student or intern, please get in touch and we would be happy to help get the news out. You could also comment below. We concluded from the survey that there is definitely interest from the community and we will proceed with the OpenLidar concept in the following months. Since we are interested in getting more feedback from the community, please express your opinion or ask questions in the comment section below. OpenLidar was successully introduced at the ISARS 2016 conference in Varna, Bulgaria in June. 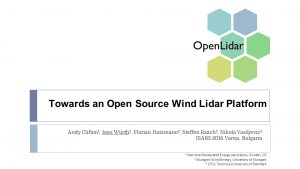 The presentation “OpenLidar – Towards an Open Source Wind Lidar Platform” is available for download. We are very happy to present you the first release of the new web page. We hope you like it and moreover we invite you to participate in the OpenLidar community! 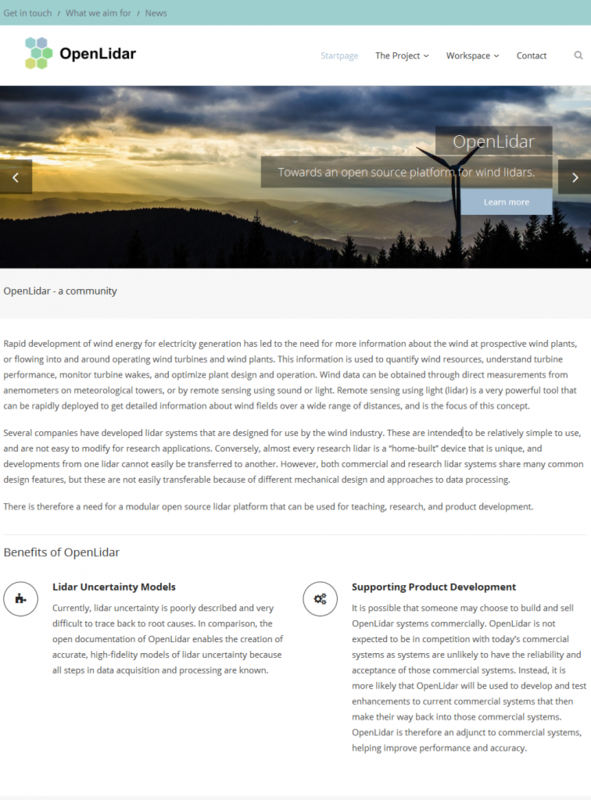 hello humans, this is openlidar - we are aiming for an open source platform for wind lidars.